Sega Shop in the UK have the perfect gift for any Sonic the Hedgehog fan who wishes to add a further dimension to their gameplay. The "Official Sonic the Hedgehog Candle Holder with Scented Candle" is on sale for those with lots of money to burn, literally. 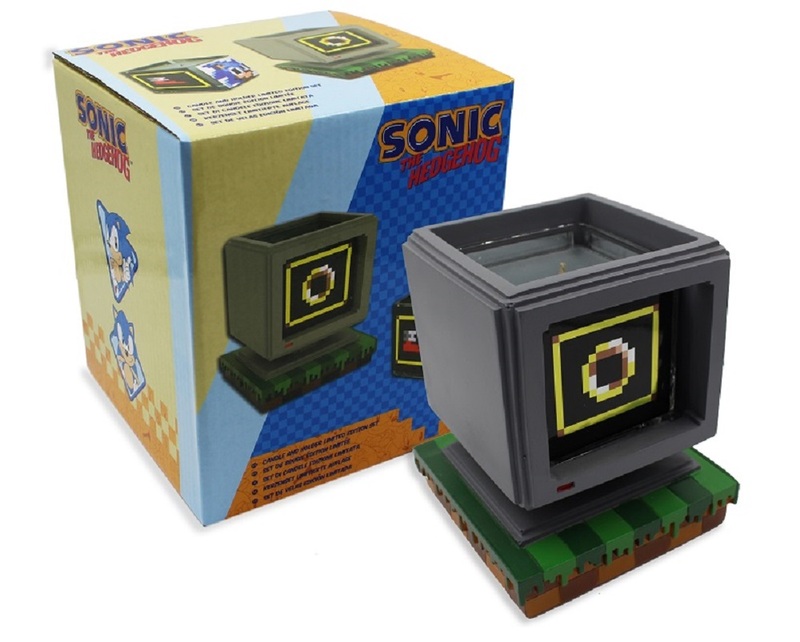 The candle comes encased in a (pretty nifty) holder shaped like the Sonic series famous item boxes. The candle itself is held in a glass cube which can be rotated to display the ring logo, a "1up", the speed shoes or the invincibility symbol. Perhaps weirdest of all, the candle's scent is "Green Hill Zone", which is obviously the iconic first stage from many of Sonic's adventures. I have absolutely zero idea what Green Hill Zone smells like, but it's a nice, sunny looking place, so hopefully it's quite floral. At least it isn't scented like Scrap Brain Zone. The candles are currently only available within Europe, and cost a princely £30. If you fancy picking one up, then visit the Sega Shop at the links below.